Professor Vaughan is the lead-coordinator for the ice2sea research programme. In this interview, he discusses the role and importance of ice2sea and parallel research programmes in providing the IPCC and civil society with projections for sea level rise over the next two centuries. What is the mission of ice2sea? It is to provide better projections of the contribution of land ice (ice sheets, ice caps and mountain glaciers) to sea level rise over the next 200 years, and to do it in time to provide input for the next IPCC Assessment Report to be published in 2014. To do this, we are required to submit our papers for peer review by July 2012. How many institutions are involved in the project? We have 24 institutional partners, mostly from Europe, but also from Chile and non-EU nations such as Switzerland and Norway. The European Union's Seventh Framework Programme (FP7) provides around 75% of the funding, with the remaining 25% coming from the institutional partners through their own national sources. What is the cost of ice2sea? To give you a rough idea, the EU’s contribution over the four years of the project is a little less than 10 million Euros. To what extent is ice2sea building on and collaborating with other research efforts in the same area? We are actually extremely parallel to an effort in the US called SeaRISE that is lead by Bob Bindschadler at NASA’s Goddard Institute. The focus is slightly different, however. The scope of ice2sea includes mountain glaciers as well, whilst SeaRISE is focusing very specifically on the two polar ice sheets in Greenland and Antarctica. Furthermore, whilst ice2sea is looking at the more mid-range assessments of how sea level rise is affected by ice flow contributions, SeaRISE is looking at some rather specific scenarios that might produce more sudden contributions from ice sheets to sea level rise. Overall, the two efforts dovetail quite nicely and I think we are going to produce a set of results that work together well. At this stage, predicting ice sheets is a relatively new science, so it’s important to take diverse approaches and not prematurely adopt one approach and go with that alone. Will the SeaRISE project also contribute to the IPCC's 5th Assessment Report? SeaRISE is not a specifically funded program in the way that ice2sea is, so there is no specific requirement that it contribute to the next IPCC report. However I think it would be very unlikely that it not try and make some clear contribution through the required peer-review process before July 2012. What scientific tools are you using for ice2sea. Are you using any new methodologies? Ice2sea is a very integrated program. Whilst we have people out in the field making measurements of key glacial processes, we also use satellites to assess changes in ice sheets, as well as models that have been specially generated for us by the Hadley Centre in the UK to try and predict future change. We take the data from these global climate models and then use regional climate models to give us more specific projections for Greenland, Antarctica, and other glacial regions. Then we drive our ice sheet and glacier models using these regional models, and ultimately put it all together to obtain an ice sheet loss and sea level rise projection. The advantage of this method is that we can really begin to understand where the uncertainty lies, and in a detail that has never been achieved before. For example, we question if the uncertainties associated with sea level rise projections reside in knowing how much carbon dioxide is going to be put into the atmosphere, or whether it resides in how the climate changes in response to that? What’s more, we also question how regional climate affects the ice sheet, and how the ice sheet itself responds to that? If we can at least identify where the greatest uncertainty lies, then we will know where to focus our efforts. I think that’s one of the fairly unique things about ice2sea. So you’re saying that ice2sea is a first step? There is an interesting, almost philosophical point here, which is that in the business of making future projections of climate change and of all its possible impacts, there is essentially never a definitive answer. Your output will only be the best output for a short while, before somebody builds on your work and comes up with a better answer - maybe reducing the uncertainty or including more processes that you didn’t include before. So providing projections is something that shouldn’t actually be seen as something with long-term value, but as a building block for the future. However, what is really of permanent value is our increased understanding of ice sheet and climate processes and changes, as well as the development of tools to make predictions. This includes the development of a new generation of scientists who are capable of taking this kind of work to a higher level in the future. You can spend four years producing a new set of sea level rise projections that might end up in the news for a few months, but the true legacy lies in the increased understanding and knowledge of the processes, as well as in the tools and people available to carry on this work. Many people criticized the 4th IPCC Assessment Report for not having given enough consideration to land ice masses. Why is it important to rectify this in the 5th Assessment Report? And what is the potential cost of ignoring these environments? I think the 4th IPCC report was actually rather brave in stating that "yes, we understand the contribution of sea level rise as a result of thermal expansion of the oceans as they become warmer, but there is also the extra contribution from ice sheets melting that we really don’t understand well enough at this point." The pressure on the IPCC to produce answers that are practical guides for policy makers is very high, so when they highlight an area of science that is inadequate at a given time, they are being quite brave. Obviously, with seven extra years to think about this problem, I think the next report should have these questions clarified as best as possible. This is what ice2sea and SeaRISE are trying to do, but the challenge is still very big. In looking at future sea level rise, the difficulty is not really the next few decades where sea level rise projections can actually be quite reliable, because sea level doesn’t suddenly jump up. It isn’t even so much on the century timescale, which is the IPCC's focus. There may be some surprises by the time we reach 2100, but not drastic surprises. We will not see many metres of sea level rise over the next century. The big challenge -and my main area of interest with ice2sea - is making predictions for 2100 to 2200. In the UK, this tends to be the period we take into account when we consider coastal defenses and policy makers evaluate which areas will be protected and which ones will not. In considering this particular issue, the centennial period that the IPCC takes into account is really not enough. For instance, the life expectancy of new houses is well over 100 years, and 100 years is not long enough when considering building sea defenses to product the city of London. Because of the massive investment and time required to build such defenses, we need to be looking well beyond 2100. To illustrate this, when the Thames Barrier that currently protects London was completed in 1982, it was designed to provide protection for the worst-case one-in-a-thousand year storm surge. With 50 cm of sea level rise, its level of protection will be reduced to one in a hundred years. If you then add another 50 cm and push sea level rise to one metre, the level of protection goes down to one in ten years on average. For a citizen or investor in London, one in ten years is clearly unacceptable, so somewhere between ten and a thousand years, we have to decide was is acceptable and try to maintain that risk level. This depends directly on making the right projections, because the difference between 50 cm and one metre is huge in terms of the actual risk to the city and the type of sea defense you decide to build. 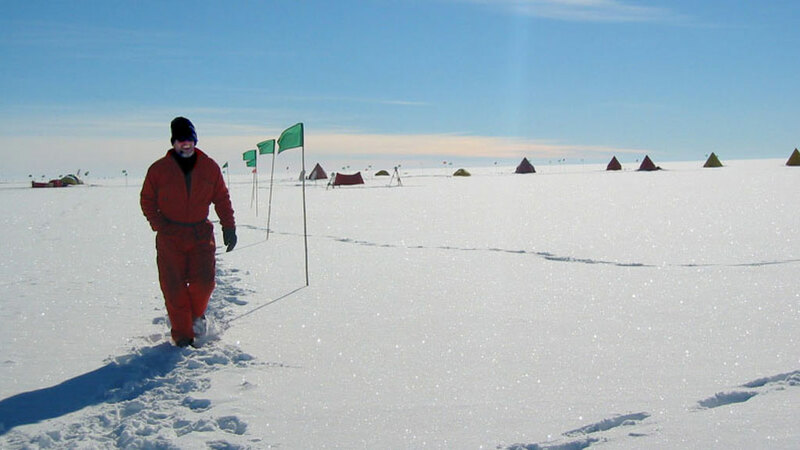 Professor David Vaughan is a glaciologist who works for the British Antarctic Survey (BAS). His research focuses on glaciers and ice sheets, their response to climate change, and their contribution to sea level rise. He was a coordinating Lead Author for the 4th Assessment Report released by the Intergovernmental Panel on Climate Change (IPCC) in 2007 and will continue in this role for the 5th Assessment Report due to be released in 2014.